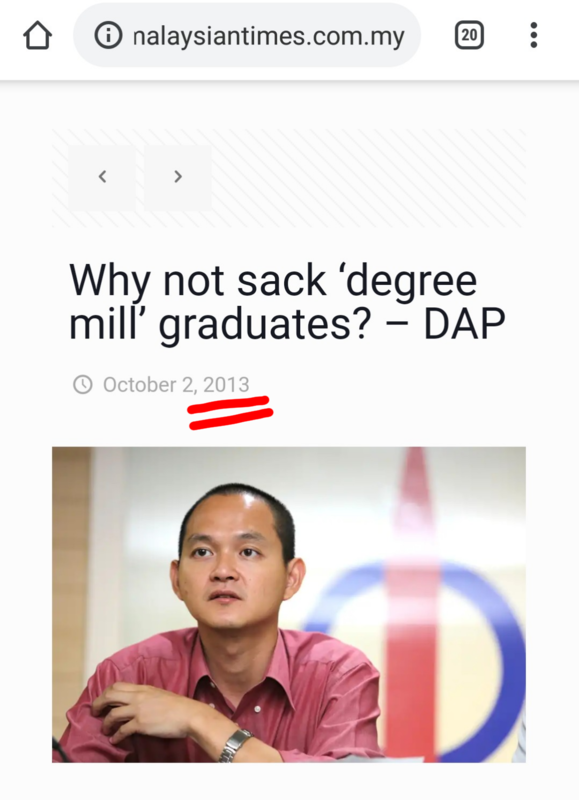 So far five Pakatan Harapan Ministers have been been caught with fake university degrees. theold said: So far five Pakatan Harapan Ministers have been been caught with fake university degrees. Anyway if one able to get away itself is some form of talent provided go through proper interview, we normally only apply 20% of what learned in school. Wtf!! Defence minister no degree? bw2013 said: Wtf!! Defence minister no degree? Their Jobs must be good in PR .people under them must be functional ,so is not like the whole chain screw . I guess they never expected to get voted in. Tangsen said: I guess they never expected to get voted in. Cojuangco said: Do you have degree? I thought Lim's degree from Monash is authentic? Not sure about others but Lim's should be authentic.